G-ænial Flo X is a high radiopacity and high strength flowable composite designed specifically for optimum handling in lining, micro cavity and fissure sealing applications. The best handling "conventional" flowable - yet with greater strength than most conventional composites. Innovation in filler technology gives you a high strength composite in a flowable consistency. 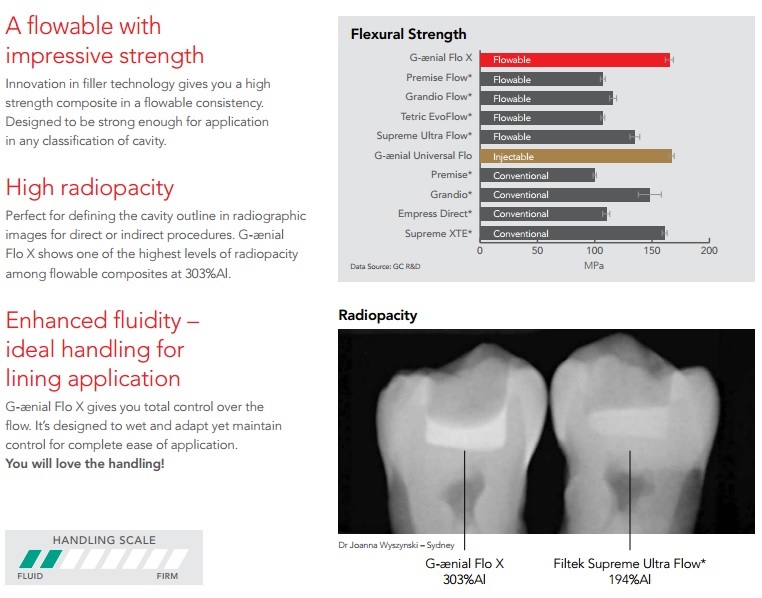 Designed to be strong enough for application in any classification of cavity. 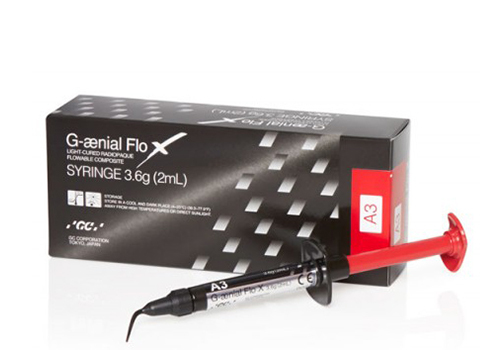 Flo X shows one of the highest radiopacity among flowable composites at 303%Al. G-ænial Flo X gives you total control over the flow. It’s designed to wet and adapt yet maintain control for complete ease of application.